A NEW AND BETTER KUNSTHAL HAS REOPENED! In 2016 we have been busy renovation the old church. 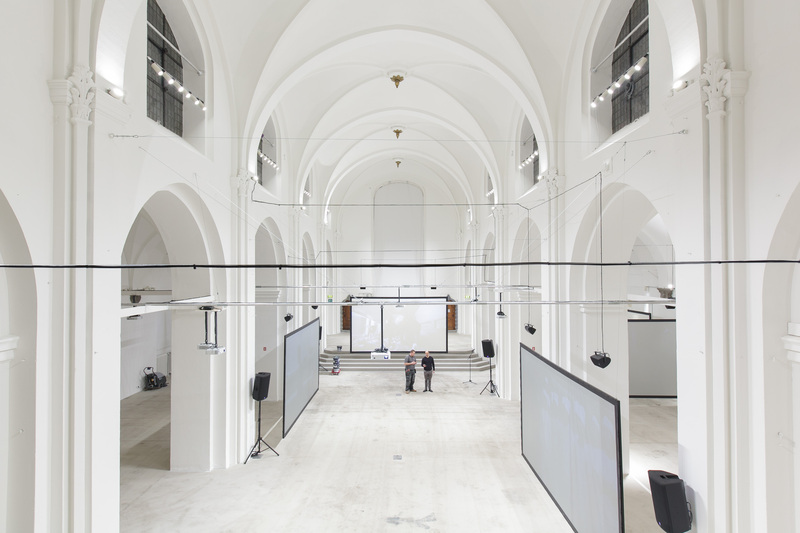 In collaboration with Bente Lange Arkitekter, Louis Poulsen and others the work of making Nikolaj Kunsthal an even better art space for both the audience and artists will continue the next couple of months. Therefore Nikolaj Kunsthal will be closed from December 19 2016 until March 3 2017. We will still have activities outside of the physical art space in February. From February 9 the seventh edition of FOKUS video art festival will take place at Nikolaj Plads and at selected venues in and around Copenhagen.